Strolling along this promenade, I marveled the vastness of the seafront, and looking further east watched another peninsula not that far away. The sea in front of Kudat Town is actually sandwiched by two land mass and all this area is call Marudu Bay. Imagine looking at a two dimensional picture of a dog with a pointed ears. The dog is facing right and in the middle of the right edge of the left ear there is a small dot. That dot is Kudat. That picture resembled the map of North Borneo. 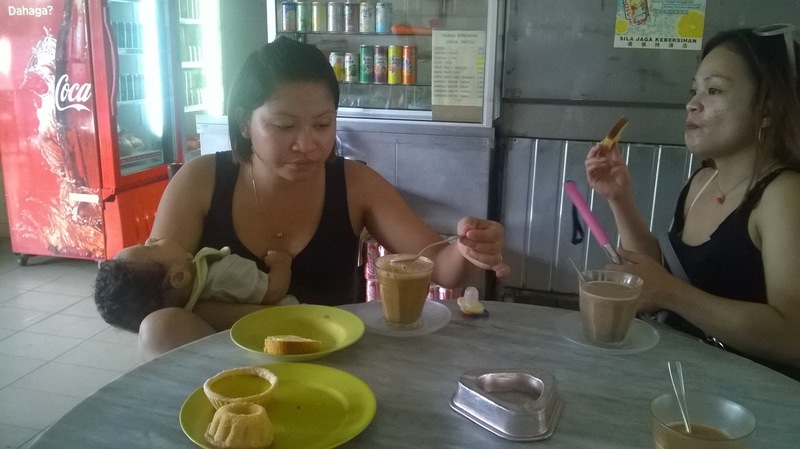 Many of us experienced back in Jesselton (Kota Kinabalu), the capital of North Borneo decades ago, there were many coffee shops that offered cup of coffee or tea and a plate of assorted cakes. Whatever we consumed, only those would be charged. This typical style is not easy to find anymore there; but we still experienced this in Kudat. Sitting here is so nostalgic. Many told me that the Bak-Bak Beach near the Kudat Town is beautiful. Before seeing this place, I imagined it would be stretching with white sandy beach and thousands of tall coconut palms. I was disappointed. The beach is silty, rocky and also dirty. However, I admit that during low tide, the beach does revealed itself to be attractive; by looking at the interesting rock formations. I believed it is sandstone being shaped by the waves and current. 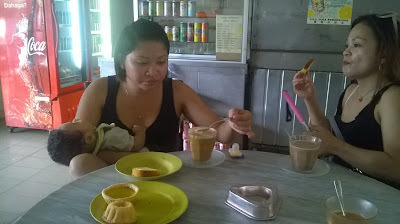 So indeed Kudat Town is a wonderful place to visit, and those who had never been here should try out this place. There are quite a number of cheap but clean hotels, wonderful golf course, delicious foods and friendly people. Most of all, before the government tears down the historical wooden building at Lo Then Chok Street.